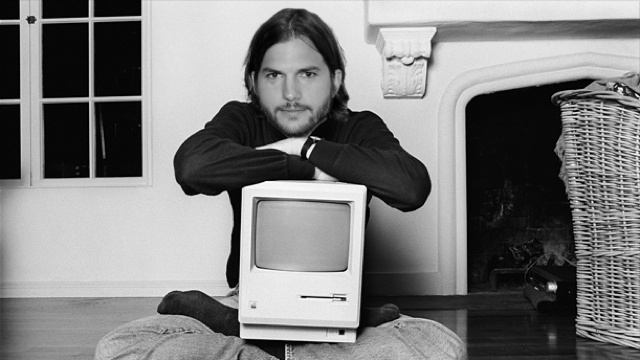 Ashton Kutcher is extremely good as Steve Jobs in Joshua Michael Stern’s Jobs, which covers the computer pioneer’s life from just after college to when he rejoined Apple in 1996 after having been forced from the company in 1985. The movie itself, however, is wildly uneven. It contains some of the most inspiring, moving, goosebump-inducing moments, scenes and speeches that I’ve seen thus far this year, but also some truly cringeworthy ones. It’s as though two different creative teams made the film, swapping scene-for-scene, and only one of them was any good. 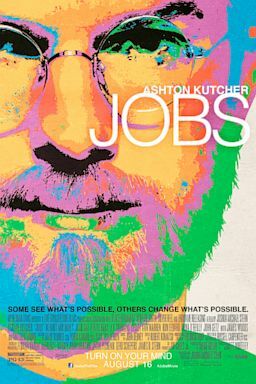 Comparisons to The Social Network are inevitable, and Jobs is not in the same league. The Social Network had a great central focus, being the lawsuit over the creation of Facebook, where Jobs is content to be an extremely conventional biopic, telling the story of a man without necessarily finding the story about him. 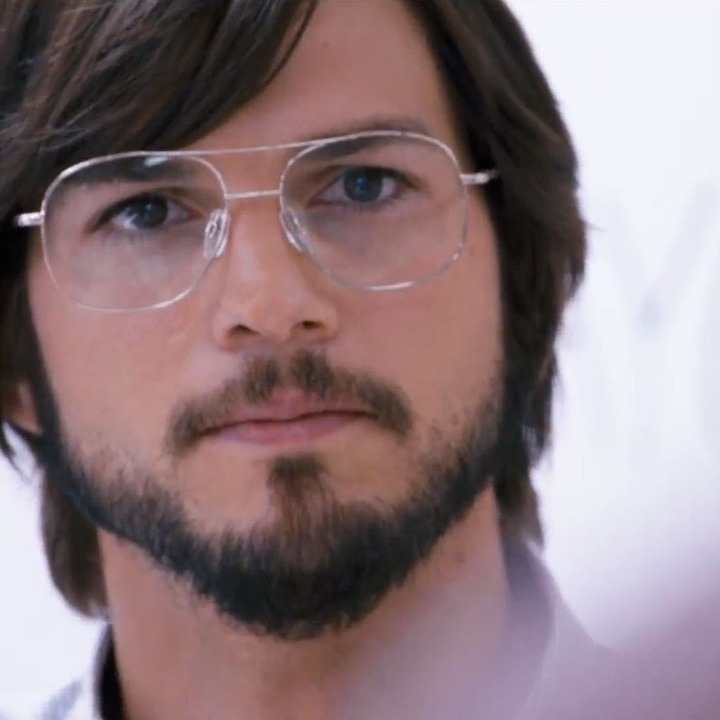 Nevertheless, the man is Jobs, who’s essentially a fascinating guy, and with Kutcher’s excellent performance and a stack of terrific supporting turns, the material holds even as some of the scenes wobble dangerously. It’s a business story showing the birth of a business man (from the womb of a purely creative one) and has no time for female relationships and completely avoids “the big C”, for which I was very grateful. A subplot about Jobs’ abandonment of his daughter remains just that, touched on but obviously not particularly favored by Stern or screenwriter Matt Whiteley. This is a film about boardroom battles, not battles of the heart. If there is a theme to the movie, something beyond just telling a couple of decades in the life of a man, it is that Jobs was his own worst enemy (this is actually directly stated by a character, indicative of when the film gets too obvious and ham-fisted). We see Jobs lose his temper pretty early on, and he does it again about every fifteen minutes. It’s a flaw, but not a fatal one (the fatal one was “the big C”, and that’s a disease anyway). 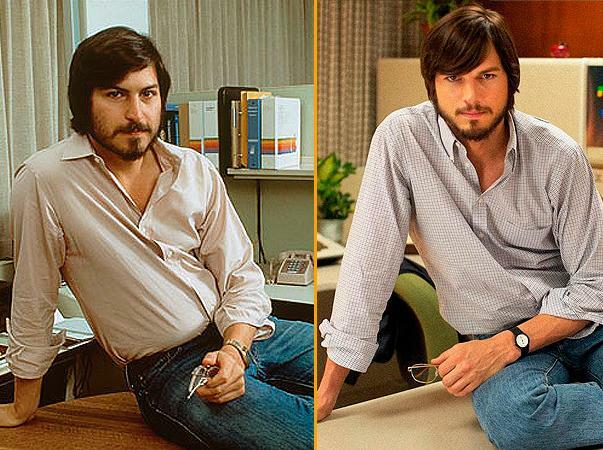 Unlike the vast majority of biopic subjects, Jobs was not a musician with a drinking or drug problem. His temper, as the film’s centrifuge of conflict, feels a little forced; since it’s not a “monster movie” like Mommie Dearest, Raging Bull and What’s Love Got To Do With It, the insistent scenes of Jobs losing his cool feel like the filmmakers grasping for conflict. The man changed the world, isn’t that enough story? But obviously Jobs was temperamental, and obviously his huge vision brought him into conflict with those members of his board who were concerned with shareholders, and this dynamic forms the movie’s spine, with JK Simmons, one of the great comedians, giving an excellent straight dramatic performance as the Chairman of Apple’s board in the 1980s. Dermot Mulroney is terrific as Mike Markkula, the first proper Apple investor, and Josh Gad does a lovely, totally believable turn as Steve Wozniak. Women are barely a presence. There were moments in this movie that I was hugely moved. It is also terrific fun every time a major product makes its appearance: it’s the Apple II! Here’s Lisa! And now let’s bring out the Macintosh! The period detail is precise without being overbearing, there are nice music selections based on Jobs’ own preferences, and California is portrayed as almost a paradise, a sun-kissed land of warmth and color (wait till you see the Apple Campus!) Geeks will see this film; if you’ve never owned an Apple product it will essentially be of no interest; the unspoken lesson of the film is that, if you can afford a cinema ticket, you’ve probably, at least once, bitten the Apple. Divorce Movie? Done well? Sure. Jobs never “created” those things. He headed the company that did, but the credit of “creating” or “designing” them goes to the engineers, the designers and the programmers of Apple. What do you like about the iPad? It’s slim build and high quality material choices? Credit that to the designers. The multi-touch interface and inertial scrolling? The programmers and engineers. Jobs was great at inspiring his employees with his talks, but the ideas and designs came directly from Apple’s employees. I agree with you whole-heartedly Matt. Indeed, I thought a lot about that particular sentence in my review. However, the movie posits that, in terms of my sitting in a dog park working on an iPad, or speaking into an iPhone, these initial concepts — usability of deeply serious and complicated technology by the masses — were very specifically reflective of Jobs’ vision. So I ran with that. But, of course, you’re right… he is hardly the sole creator (and the movie doesn’t pretend he is, at all). Thanks for your comment. I’m not sure i get what the “the big C” is… care to elaborate ?? Sorry ..that was my bad..didn’t realise you were alluding to that.